Jesse Beams' contributions include construction of the first linear electron accelerator, development of the magnetic ultracentrifuge and application of the ultracentrifuge to the separation of Uranium isotopes. He also devised a more accurate apparatus for measuring G, the universal gravitational constant. December 25, 1898Birth, Belle Plaine (Kan.). 1921Obtained BA in Physics, Fairmont College (now Fairmont State University), Fairmont (W. Va.). 1922Obtained MA in Mathematics, University of Wisconsin, Madison, Madison (Wis.). 1922 – 1923Instructor in Physics and Mathematics, Alabama Polytechnic Institute (now Auburn University). 1925Obtained PhD in Physics, University of Virginia, Charlottesville (Va.). 1925 – 1926National Research Council (NRC) Fellow in Physics, University of Virginia, Charlottesville (Va.). 1926 – 1928National Research Council (NRC) Fellow in Physics (1926-1927) and Instructor in Physics (1927-1928), Yale University. 1928 – 1977Associate Professor to Professor of Physics (1928-1953); Professor of Physics (1929-1953); Chair, Department of Physics (1948-1962); Francis H. Smith Professor of Physics (1953-1969); and Emeritus Professor of Physics (1969-1977), University of Virginia, Charlottesville (Va.). 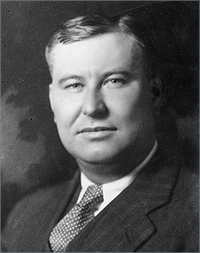 1940 – 1941Member, Committee on Uranium, National Defense Research Committee. 1941 – 1942Member, Section on Uranium, Office of Scientific Research and Development. 1941 – 1944Researcher, Office of Scientific Research and Development, University of Virginia, Charlottesville (Va.). 1942 – 1960Member, Scientific Advisory Committee, Ballistics Research Laboratory, Aberdeen Proving Ground, United States Army. 1943Member, National Academy of Sciences. 1948 – 1954Member, Board of Directors, Oak Ridge Institute of Nuclear Studies. 1948 – 1969Member, Board of Directors, Virginia Institute for Scientific Research. 1951 – 1955Member, Division of Physical Sciences, National Research Council. 1952 – 1954Member, Physics Division, National Science Foundation. 1954 – 1960Member, General Advisory Committee, United States Atomic Energy Committee. 1960 – 1970Member, Board of Directors, Oak Ridge Institute of Nuclear Studies. 1967Awarded National Medal of Science. July 23, 1977Death, Charlottesville (Va.). Advised by Beams at University of Virginia, "A 60 degree mass spectrometer and its application to: the measurement of a self diffusion coefficient, continuous measurement of isotopic ratios, the isotopic constitution of silicon, the measurement of isotopic mass ratios," and both employed at University of Virginia. Advised by Beams at University of Virginia, "The fall of potential in electrical discharges." Both employed at the Office of Scientific Research and Development. Both worked on the Technical Subcommittee, Advisory Committee on Uranium. Both employed at Yale University. Instructor in Physics and Mathematics. Obtained PhD (1925). National Research Council (NRC) Fellow in Physics; Associate Professor to Professor of Physics; Professor of Physics; Chair, Department of Physics; Francis H. Smith Professor of Physics; and Emeritus Professor of Physics. National Research Council (NRC) Fellow in Physics and Instructor in Physics. Obtained BA in Physics (1921). Member, S-1 Uranium Committee and Researcher, University of Virginia. Jesse W. Beams papers, 1926-1977. Jesse W. Beams selected correspondence, 1945-1949. A brief history of the phyics department of the University of Virginia, 1922-1961. Anne Roe papers, 1949-1971 (bulk). Fifty years of physics: Some personal memories, circa 1976. Oral history interview with Frederick L. Brown, 1975 November 19. William Francis Gray Swann papers, 1903-1962. Working for scientists and higher education: my experiences working for the University of Virginia, 1995. Jesse W. Beams Physics Today obituary.